Back in 2008, Hasbro made a deal with Universal pictures, and subsequently, we were subjected to flicks like Transformers and Battleship. 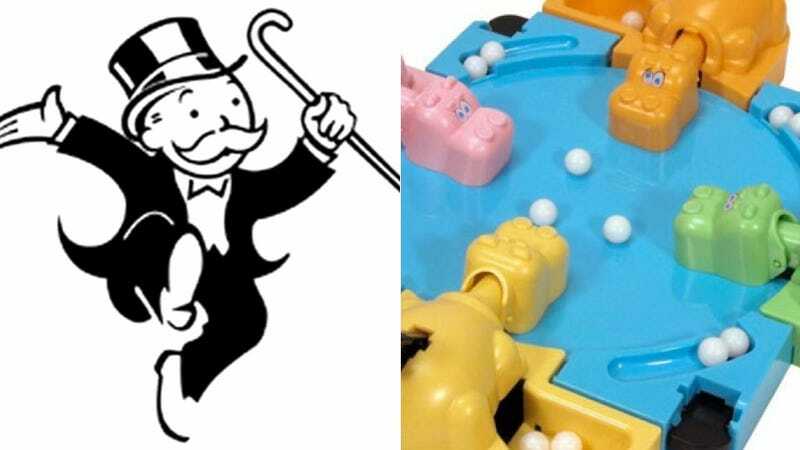 The Universal deal fell apart but Hasbro just won't give up, and two more boardgame movies are in the works at production company Emmett/Furla: Monopoly and Hungry Hungry Hippos. Someone, right now, is trying to figure out how to turn plastic hippos gobbling up marbles into dialogue. Someone somewhere is convinced that there's pathos in Rich Uncle Pennybags. What's next, a movie based on Twister? Don't answer that. Eagerly awaiting the casting announcement for Mall Madness, Heartthrob and Dream Phone.